This summer I have been busy as usual with all things to do in the garden. I have harvested a lot of tomatoes and cucumbers from the greenhouse. I have made lots of pickled cucumber! The carrots are so sweet and tasty and the salad is crisp and nice. 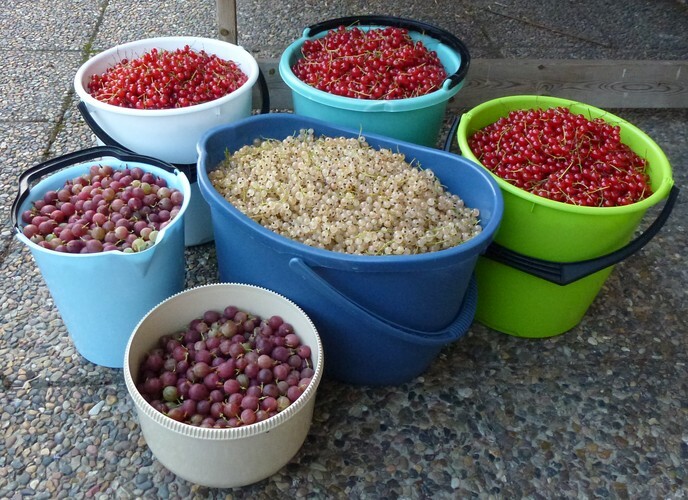 Last weekend I picked red and white currants from our three currant bushes. There where not that much berries in the white one but the two red ones had lots of berries. I also picked gooseberries. Here is a picture of the harvest. During the next two days I made juice of all the berries. Lots of bottles! 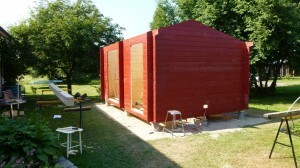 We have also spent much time building a new storage shed. The old one was too small to store all the garden tools in. We definitely need a bigger one. We started building during our summer holiday and of course the weather made it hard for us. It was too hot! Now when the summer holiday is over, we still have some work to do on it before it’s finished. After a long break (as usual during the summer), I now feel the creativity is returning. 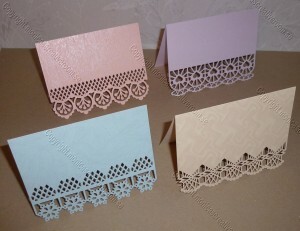 This time I have made some simple card designs with cutouts along the edge. I will make more of these later.